>Syria To Buy Turkish Coast Guard Boats? 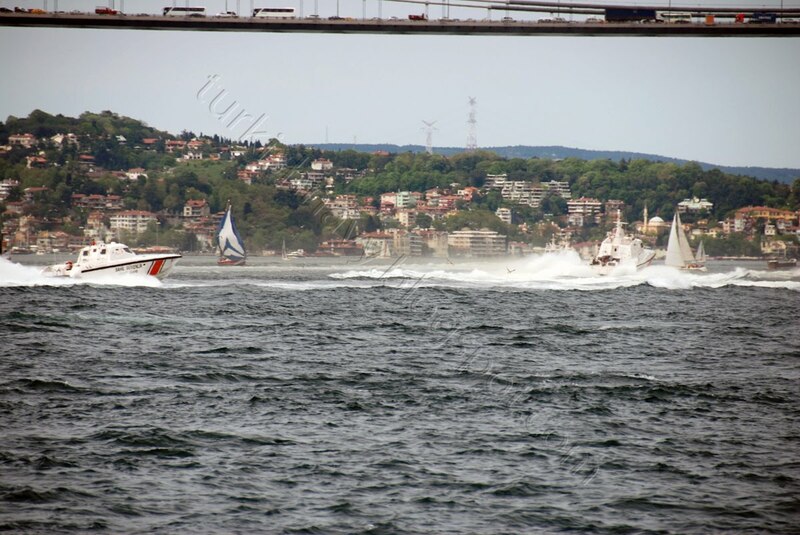 On Sunday, after the sailing race has ended, suddenly five coast guard vessels dashed through the Bosphorus in very high speed, as if there was some kind of an emergency they have to rush to. 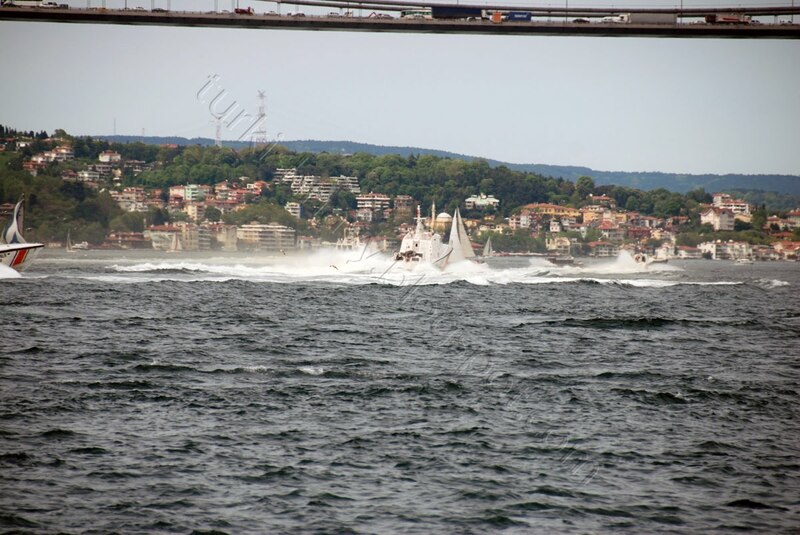 After performing a few turns and other maneuvers in the middle of the strait, they have zoomed as fast as they have come, creating lots of waves. Thankfully I was able to watch this unusual and unexpected performance from the resonant where my wife and I were having a late lunch. We were lucky not to get wet from the incoming waves. Needless to say I have taken lots of photos as well. I had no clue that, during that time Syrian president Bashar al-Assad and Turkish president Abdullah Gül were personaly on board one of these vessels. I have found this interesting video, shot at he same day, showing the presidents leaving the coast guard vessel TCSG-303. It seams as if they have enjoyed the ride. The man who stands on the left side of the Syrian president at the time of photo shootings is Mr. Onuk. 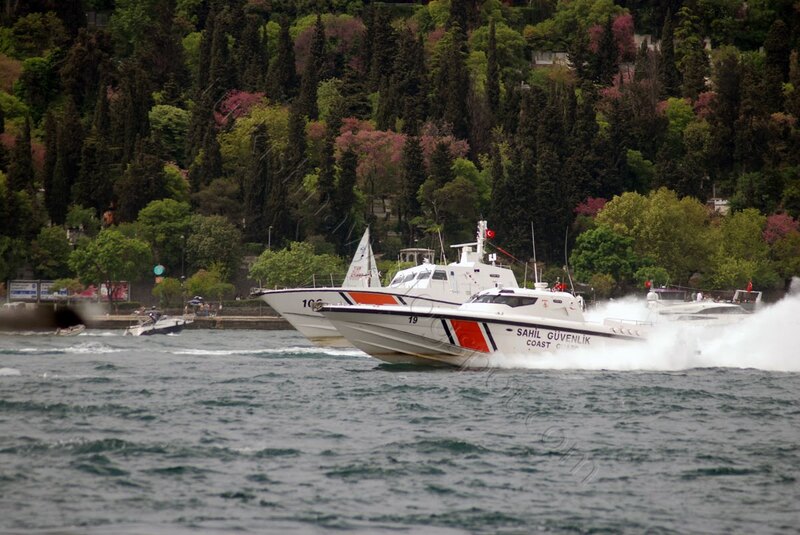 He is one of the partners of the Yonca-Onuk shipyard that have built all these vessels for the Turkish coast guard. 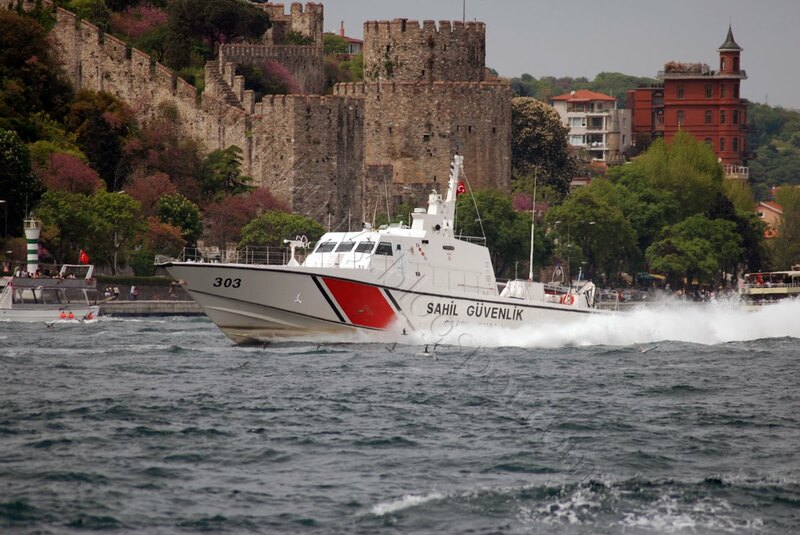 If Turkish president takes his Syrian counterpart to a ride on a Turkish designed and built coast guard boat, it means that the contract negotiations have reached to a certain degree of maturity. Syria very well may be the next export customer of Yonca-Onuk’s MRTP family of fast coast guard interception after Georgia, UAE, Pakistan and Malaysia. One Response to >Syria To Buy Turkish Coast Guard Boats?